As part of the execution of the orders given by the Kazakh head of state Nursultan Nazarbayev in the presidential address to the people "Growth of well-being of Kazakhs: increase of incomes and quality of life", the Baiterek Holding decided to allocate 34 billion Kazakh tenges (KZT) to replenish the authorized capital of its subsidiary, JSC ESC Kazakh Export, Trend reports referring to Kapital.kz. 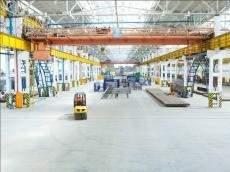 "The main purpose of KazakhExport's capitalization is to increase the volume of support for export of non-primary products through such instruments as insuring a letter of credit against the risk of default on the part of the importer's bank, insuring payment deferments on export contracts against the risk of non-payment by the importer, insuring the importer's advance payments against the risks of not returning advanced payments by the exporter and insurance of exporter’s loans aimed at the development of export," Baiterek Holding representatives said. Any operating enterprise in Kazakhstan specialized in the production of non-primary goods planning to enter international markets and protect its business from unwanted risks can benefit from the services of KazakhExport. "KazakhExport already has 13 tools for supporting small and medium-sized businesses, among them credit insurance, insurance of bank payment guarantees, pre-export financing and others".